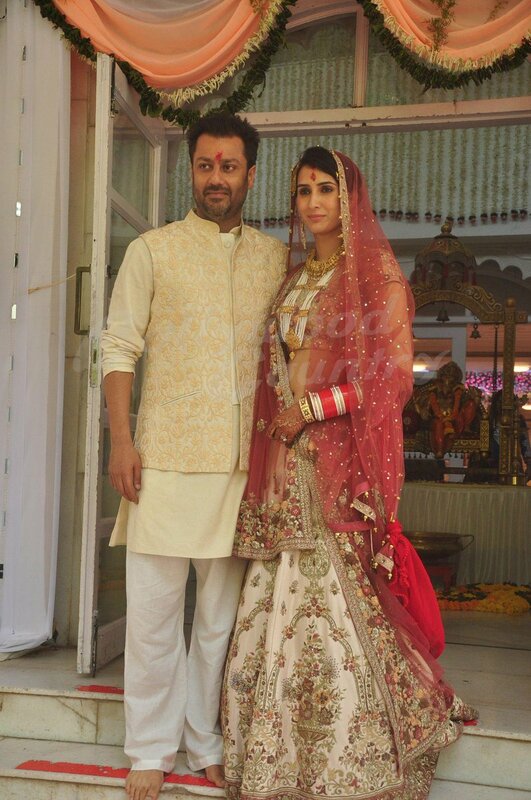 Bollywood director Abhishekh Kapoor tied knot to Pragya Yadav in a low Key wedding at ISKON temple in mumbai earlier this week. The wedding was a private affair and a reception was hosted which saw close friends and family in attendance. 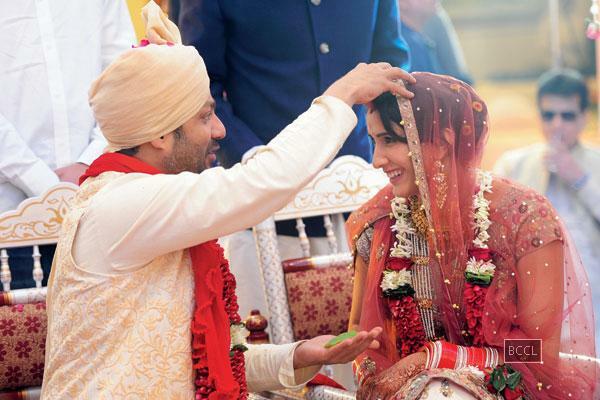 The 'RockOn' director wore a cream bandhgala jacket with kurta payjamas while the bride wore a printed Varun Bahl Lehenga with gold jewellery. I love how the couple co-ordinate each others outfit without overdoing it. It was a surprise to see a bride go bling free and wear a printed lehenga on her D day . Pragya i must say carries this look nicely but her jhoomar makes things a little crowded but ofcourse she is THE bride. If you really want to wear heavy jewellery then going printed is the right thing to do. Pragya also gives lessons of how the bride can rock the cream or white colour . Adding a contrast dupatta is the right way to go. Our best wishes to the couple. would you wear a printed Lehenga to your wedding?